29-year-old Butler is now in his 8th NBA year. He was drafted 30th overall in 2011 by the Chicago Bulls out of Marquette University. He played most of his career in Chicago before being traded to Minnesota last year. Over this past summer, he began requesting a trade out of Minnesota. That off-court noise apparently started to hurt the locker room. 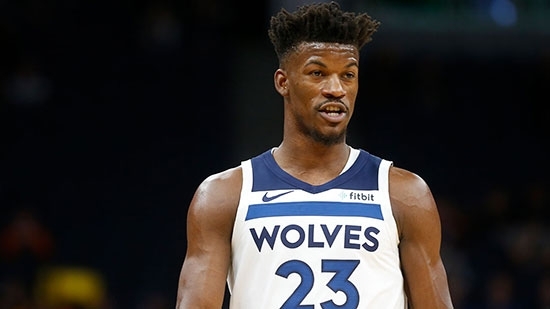 It wasn't until the Timberwolves lost their fifth straight on Friday night that their front office decided to pull the trigger and make the change. Butler can opt out of the final year of his contract at the end of this season. The 76ers will then be able to offer him a five-year max contract worth $190 million. Other teams will only be able to offer four years and a projected $141 million. This year he is averaging 21.3 points, 5.2 rebounds, and 4.3 assist per game. He is 6' 6" and 236lbs. 21-year-old Justin Patton is recovering from a broken left foot. He was drafted 16th overall in 2017 by the Bulls and traded immediately to the Timberwolves along with Butler. He attended Creighton University and left after playing one redshirt year. He broke his left foot in summer league 2017 and had surgery on it again in April 2018. He has seen minimal NBA action, scoring only 2 points. Patton did play in the G League. He is 7' 0" 241lb.